Feldmann Nagel Cantafio Margulis Gonnell PLLC is a well-established Colorado law firm with offices in Denver, Vail, Steamboat Springs and Boulder. For decades, our attorneys have provided high-quality legal services to individuals and businesses throughout Colorado and across the U.S.A. Our areas of practice include commercial law, real estate, family law, criminal defense, and estate planning.  We are among the premiere trial attorneys in Colorado.